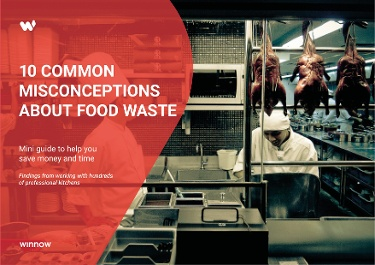 A team of dedicated and passionate professionals are behind our mission to reduce food waste in the hospitality sector. Since 2013, we have been working with chefs to monitor and reduce food waste in commercial kitchens. We are now present in more than 26 countries spanning across Europe, the Middle East and Asia Pacific. Throughout our journey, we have inspired thousands of chefs to work together to reduce food waste. As a result we’ve learned many valuable lessons to help you optimize your kitchen’s workflow, saving you both time and resources. In the second edition of Winnow`s Insights we interview Maxime Pourrat, Managing Director at Winnow`s APAC office. With a passion for the hospitality industry and vast knowledge of the Asian market, Maxime has been helping to change people's mentality about food waste from Bangkok to Beijing, helping restaurants, hotels and caterers become more efficient and profitable. During his latest visit to our London headquarters, we talked to him about the challenges and joys of introducing the Winnow system in Asia. I am originally from Switzerland, but have been living in Asia on and off for the last 10+ years. My first taste of the hospitality industry was when I was 15 and took my first job washing the dishes at a local restaurant in Geneva . Initially, it was just a job to earn a bit of extra cash so I could go out with my friends. But after dabbling in a few different jobs within the industry (cooking, bartending, waiting tables and DJing), I realised that this was truly my passion and so when I graduated from high school I applied (and was accepted!) to the prestigious Ecole Hôtelière de Genève. What brought you to Asia? I first went to Asia to complete an internship as part of my hotel management degree - a one year internship with the Kempinski Hotel Group in Beijing. I was so fascinated with the idea of exploring a place that was not familiar to me, that I decided to move to - even though I had never been to -Asia before and could not speak a word of Chinese. It was 2006, and although China wasn’t as popular as it is today, it was developing extremely quickly, with opportunities around every corner. I loved it so much that I decided to stay and got a job. I was working for a private equity firm that was investing in the hospitality sector. It was an amazing experience in so many ways. Not only did I advance my career, but more importantly I learned so much about the culture, the people and what it takes to make a business work in China. I loved it so much that I stayed until 2011. Needing a break from the pollution and looking to gain some experience within a large corporation, I moved back to Switzerland to work for Caterpillar. After 4 years back in Europe, I started to get itchy feet and felt like I had some sort of “unfinished” business with Asia. I knew I wanted to work in the hospitality industry again, that I wanted to be in Asia, and most importantly that I wanted to join a company that was making a difference in the world. At the time, it seemed impossible to find a job to match this criteria, but I didn’t let that stop me. To cut a long story short – I ended up taking myself on a roadshow and visited major cities in Asia in search of my next job and eventually met Kevin and Marc (Winnow’s co-founders) through Accelerasia in Singapore. What was the biggest challenge you faced when you first opened Winnow`s Singapore office? How did you overcome it? Food waste has been a hot topic in Europe for the past few years, but in Asia most people are not even aware of the issue - yet! So educating our partners on why they needed Winnow in the first place was definitely a challenge to begin with. Then of course there are the cultural differences – not only between East and West, but between each country in the region. The way people do business in Asia is very different to the way we do business in Europe, and no two countries business practices are the same. To overcome these barriers, we had start from scratch and really immerse ourselves and get familiar with each local culture. This meant adapting all our messaging and sales strategies. The most important thing we learned during the process is that our clients prefer direct contact instead of email or phone calls. Language can also be a huge barrier as not everyone speaks English, especially in kitchens. So, over the last two years we have built a very talented, dedicated and multilingual team that are essential in bridging the gap between Winnow and our clients. How do you see the Asian hospitality industry changing in five years? The Asian market is growing so fast. First of all, in 5 years the sector will be much more diverse than it is today and a lot more focused on sustainability issues. There is already a big effort being made to become more eco-friendly, and I believe this will continue to evolve rapidly. 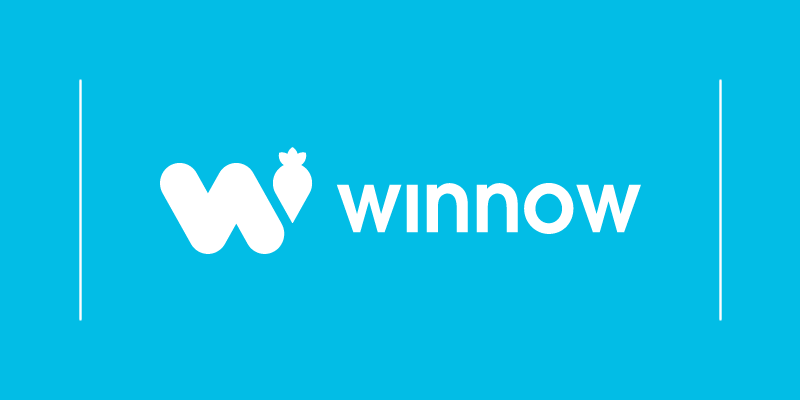 Also, in 5 years the Winnow system will be installed in multiple countries across Asia and in Australia. The standard in the hospitality industry is definitely getting higher and with that competition is increasing as well. Companies investing in sustainability will be putting themselves ahead of the competition, causing a lasting impact to change people's mentality and solve the problem of food waste. In 5 years the Winnow system will be installed in even more countries and hotels across Asia and Australia, doing what we can to help our partners set themselves apart from the rest. What are your forecast for the sustainability trends for the upcoming years? Well, obviously food waste. Globally ⅓ of all food is wasted, which is tragic, especially because there are currently billions of people going hungry all over the world. With AccorHotels committed to reduce their global food waste by 30% by 2020, we hope and believe that other companies will follow the example and that it will continue to be at the centre of sustainability discussions. Aside from food waste, we have certainly seen a change in the mentality and greater awareness for the way both produce and consume food. This, along with clean energy, sustainable fashion and plastic in our oceans are all hot topics right now, and rightly so. I believe it’s imperative that they are considered not only as trends, but more specifically as movement towards change, so that we can protect our planet for future generations. What is some of the interesting feedback you have been receiving from clients? One of the head chefs that work with in Bangkok once called us the “aspirin for chefs”. This is because, we create a solution for a problem that constantly give chefs a horrible headache: how to efficiently measure, manage and reduce their food waste. Funny, right? It’s not only about reducing food waste. It’s also about making your time more valuable. 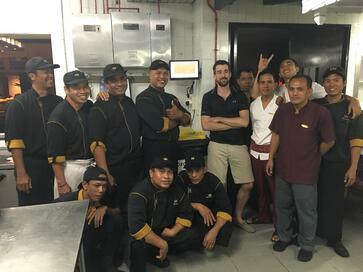 From our data the team can have a better understanding of their kitchen and run a more efficient operation. My piece of advice to chefs is to start finding ways to measure their food waste and put a value on it.